Why demolish old buildings when with a little love and dedication you could utterly transform the space into a modern dream home? Conversion and reuse of materials is an amazing way to use the resources that are already established, and get creative! See how these old spaces have been transformed and filled with modern accents! In upstate New York, this luxurious loft was converted from an old factory, with the original roughly exposed brick walls, open pipes and wide open spaces. A gorgeous industrial background, Mid-Century Modern furniture, and gilded accents make for a meld of stunning aesthetic elements. Built in 1926 in northern Italy on Lake Como, this extraordinary loft remains in its original form with much of its owner’s own artwork. Architect and artist Marco Vido left the brick walls and windows untouched, while adding a natural parquet to the concrete floor in “volcano oak” by the Austrian manufacturer Mafi. All artistic renderings below are masterfully designed scenes from Evermotion “Whola Lotta Loft” challenge that ended early in 2016. 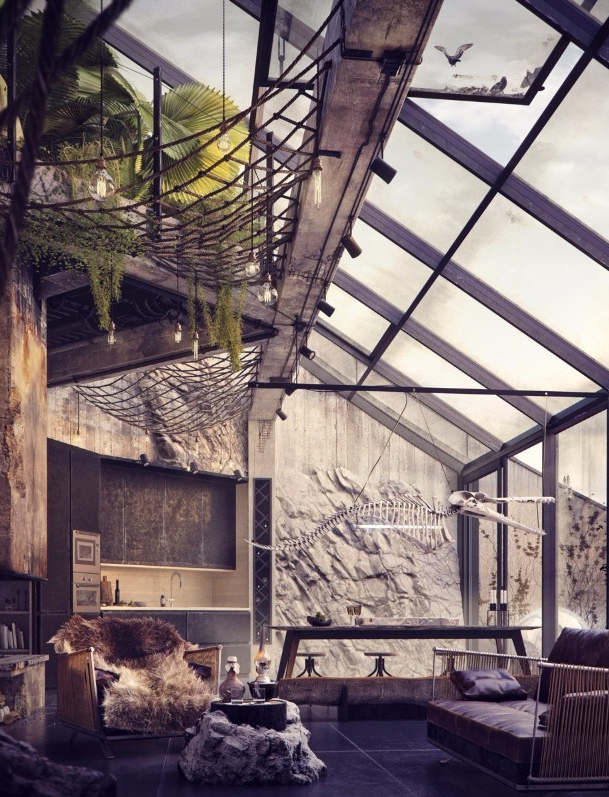 Here you can see some of the best loft interiors by designers from all over the world! Check out some more lofts that we love, with a Cozy Feel!